Learn To Better Communicate With Your Dog. Understand & Resolve Issues. Founded in 1989 in Australia by Sylvia & Danny Wilson, Bark Busters Home Dog Training ™ has quickly spread throughout the world. With offices in 40 states with more than 400 franchise locations worldwide. Bark Busters Dog Behavioral Therapists have trained over 1 Million dogs making Bark Busters the global leader in Dog Training. We train dogs of all ages, all breeds & for all issues. Bark Busters™ has the knowledge, experience, & skills to diagnose the root cause of any behavior issue for any dog, at any age - even complicated canine behaviors. Our techniques are tested, fast, easy & approved by hundreds of vets and by other trusted industry organizations. Click on your closest city on the left to find out what we can do for you and your dog. Personal One-On-One Coaching makes all the difference • • • because how your dog interprets you determines your next step when training. Trainers in group classes simply can not coach you properly. Different dogs will respond differently to the same guidance. You need to know in real time how to read your dog and how & when to respond to your dog based upon your dog's responses. Our personal coaching makes that possible, teaching you to read your dog in real time and tailoring the training to your dog's unique behavior. That's why we are so successful and why you will be too! Say Goodbye to Guesswork • • • We've taken the guesswork, time, and frustration out of traditional dog training! Our training methods help you understand the natural language of dogs. People are smarter than dogs, so it makes sense to learn their language. You can be your dog's "dog whisperer." Training your dog is fast using our methods because dogs already get it! prepare for "Canine Good Citizen" test. 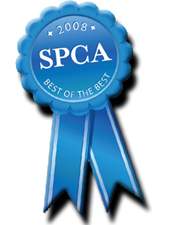 Our Proven Success Rate • • • We have hundreds of local references, vets and clients. It's the success of our methods that grew Bark Busters™ into the international company it is today. Without this basis, we could not be the world's largest and most successful dog training organization. We don't just train your dog. We teach you to understand how to communicate w/ your dog and to resolve the route cause of any issues. How We're Different • • • Many dog trainers rely upon treats & endless repetition to teach dogs. These methods often fail when dogs aren't in the mood to listen or are distracted. Often, this is when training counts the most! We’re different. 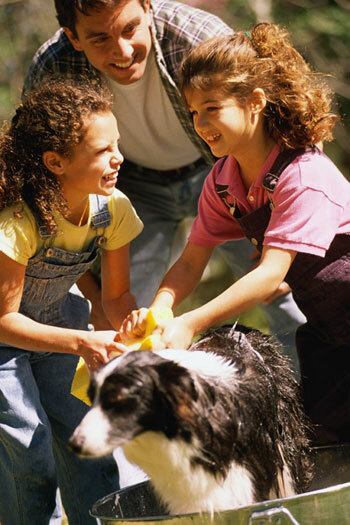 We teach you to get your dog to see you as a reliable, trustworthy pack leader. What naturally motivates dogs the most are instincts to obey his/ her pack leader. Learn to get new-found leadership while improving your bond & trust, not diminishing it. We'll teach you how your dog naturally reads your body language & your actions. Learn how to stop sending mixed signals. There's no need to intimidate, discipline or become physical when you can communicate & teach! Don't use shock collars or yell. Bark Busters in-home dog training methods yield better results & are faster. You'll have fun learning to better understand the instincts & body language that are innate in all dogs. Dogs don't naturally understand English, Spanish or any other human language. You can spend weeks , months or years trying to teach your dog commands ....or you can learn to speak "dog" in one lesson with Bark Busters. On the first visit, we teach most dogs to understand things like "no / stop," "come," "sit," "stay," "lay down," "off," "drop it," "leave it," without the repetition, stress, time or bribes required of other methods. Plus it's fun to learn and fun for your dog! A Few Key Principles • • • Our private, personalized lessons help you & your dog overcome the challenges of your specific living environment. Why in-home training? Dogs learn best when they can completely focus on the owner in an environment that's free of unusual distractions. Our local trainer comes to you and usually resolves all of your dog's issues in the convenience of your home. Our clients are always surprised at how quickly their dogs respond once they know how to communicate in their dogs natural language. There are many fine details which are important to dogs but which are not intuitive to people. That's why personal coaching is the key. It's not hard to master. You don't even have to be physically fit. We explain & coach you through the implementation at the pace you and your dog can handle. We'll be surprised though if you don't see remarkable results on our first visit. Don't gamble with other companies who charge by the lesson or hour. With Bark Busters, you get unlimited lessons for one up-front fee for the life of your dog, even for any new issues. No Harsh Techniques • • • We are personal coaches and dog behaviorists. Unlike some trainers, we don't use harsh techniques. Nor do we bribe with food to extort good behavior. Instead, we teach you how to be a better leader from your dog's perspective & to communicate more effectively. You'll engage your dog to think & to understand what you want. Dogs immediately respond.... and enjoy pleasing their "smarter" owner. Dogs crave better leadership from their humans & enjoy their Bark Busters training. Adapting to their perspective enables dogs to learn quickly through your voice control & clear body language. Your dog will be glad to follow your rules. Teach your dog versus punishing w/ harsh collars or or stressful, ineffective methods. 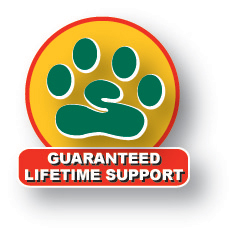 Llifetime Guarantee! • • • We have refined our methods for over 20 years. That's why we're able to offer our Life-Of-The-Dog Guarantee. Check out our national Bark Busters™ site for even more details about the worlds largest & most successful dog training company. Our dog training techniques are recommended by thousands of veterinarians, rescue groups, and by SPCA International. Our methods are dog-friendly & have been optimized over 20 years. Unlike some dog trainers, we don't offer canned techniques. We tailor our training to your dog's age, breed, personality & perspective. Even better, we don't dictate your rules. Instead, we teach you how to establish your rules and how to get your dog(s) to WANT to follow them. From simple obedience to complex issues, we can diagnose the root causes of undesired behaviors helping your dog(s) to feel & behave better for a lifetime. Click on your city listed to the left to contact us & find out how quickly we can help you & your dog(s).